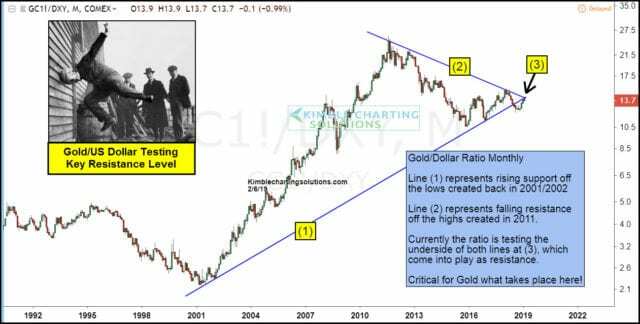 Is the Decline in Gold Prices Coming to an End? Today’s chart highlights the ratio of Gold(NYSEARCA:GLD) to the US Dollar(NYSEARCA:UUP). And as you can see, the ratio has been marching higher for several weeks, grabbing the attention of gold bulls.